Laurent Louis est un Belge dont la plupart des élus du monde "libre" devraient s'inspirer. 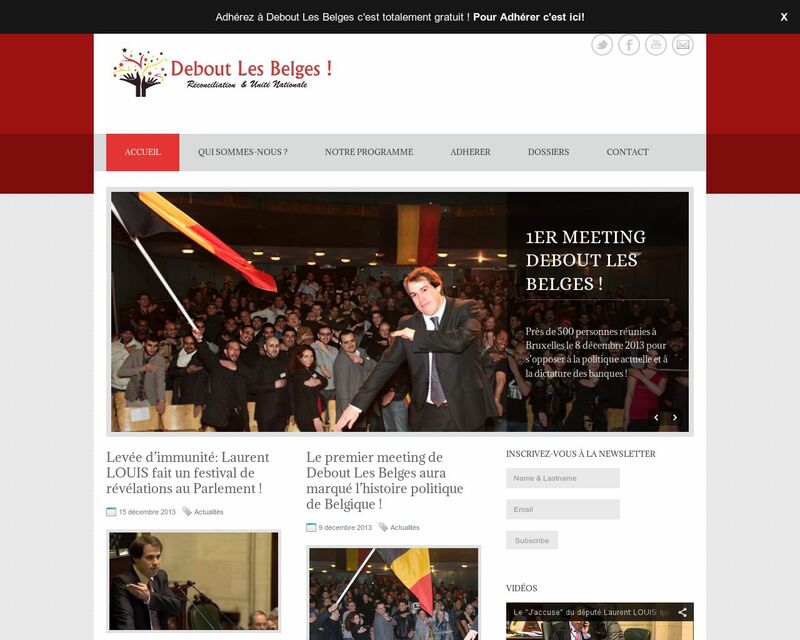 Lire la suite de Debout les Belges ! The video on this page shares surprising information about the candidates in the 2012 Republican Nomination process. Endorse Liberty is responsible for this communication. Ceci dit, interressant pour le Brésil. À suivre de près. THE BRAZILIAN Electoral Supreme Court announced last Friday that Brazil's 2008 elections will use 430,000 electronic voting machines running GNU/Linux and open sauce voting applications. The voting machines will be migrated from VirtuOS and Microsoft Windows CE to GNU/Linux and open sauce software in order to meet legal requirements for security and auditability. Analysis and discussion about the world we live in. Lire la suite de Analysis and discussion about the world we live in.